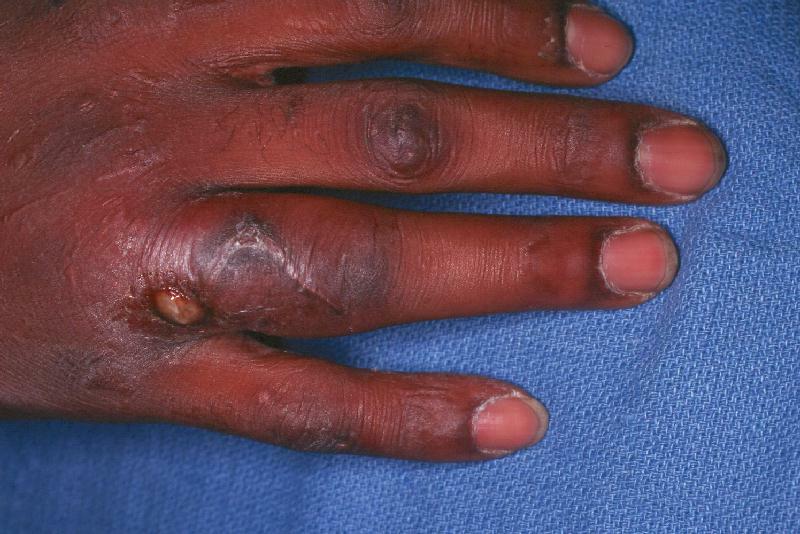 Bite wounds are always heavily contaminated. 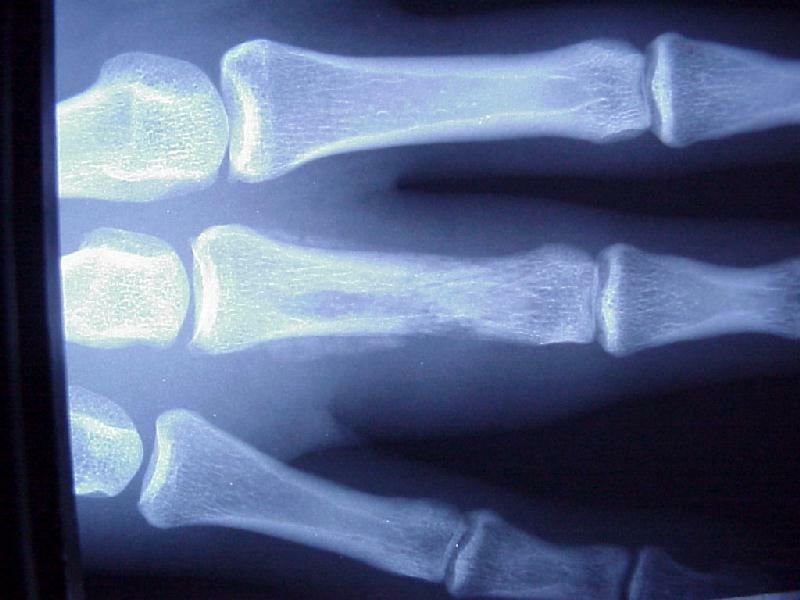 Clenched fist bite wounds of the hand are particularly troublesome because they are sustained during a fight, frequently neglected initially because of embarrassment or intoxication, and in fall of the dorsal aspect of the proximal phalanx and metacarpal head, where bone and joint surfaces may lie only millimeters from the surface of the skin. 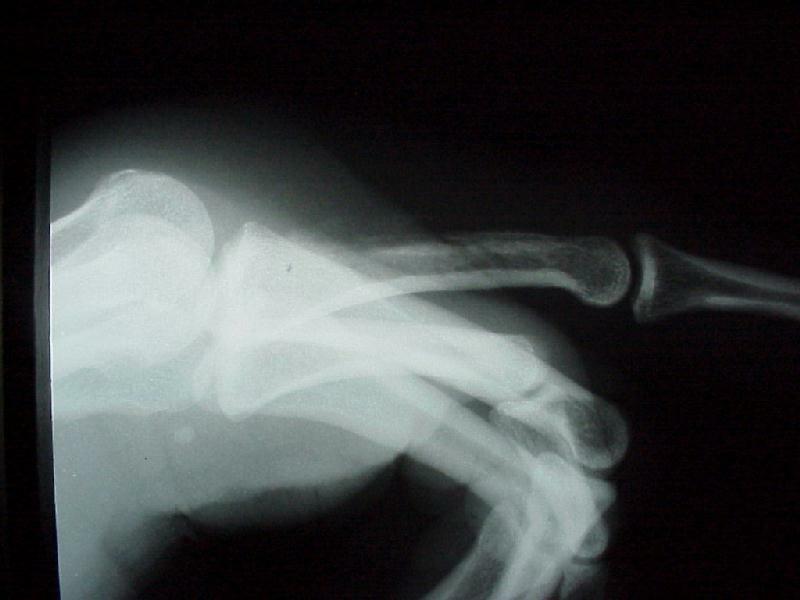 This gentleman presented with a draining sinus on the dorsal aspect of his proximal phalanx, about one month after sustaining a clenched fist bite injury. He could not clearly recall details of his initial treatment. 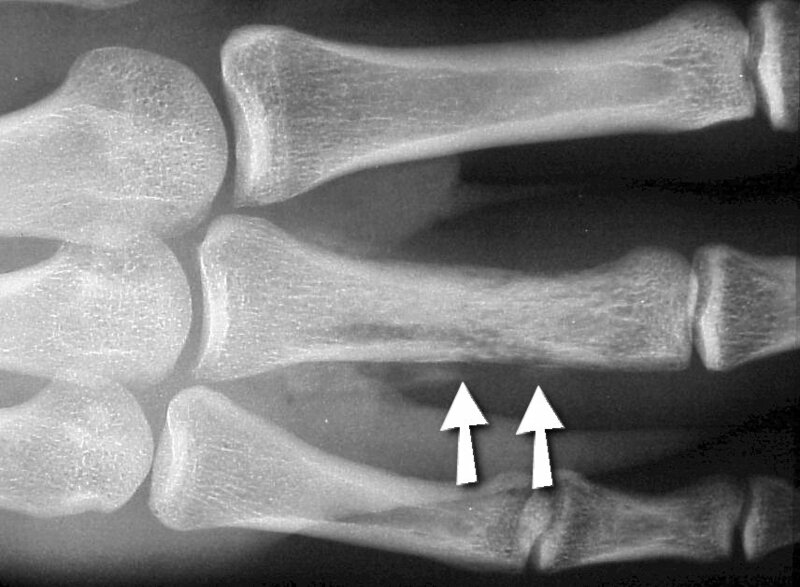 Radiographs show evidence of osteomyelitis with bone erosion and subperiosteal bone formation (arrows). The patient was unreliable as an outpatient, and refused hospitalization, and was treated with a metacarpophalangeal joint disarticulation.